BIZPHYX: The TL 9000 Experts | TL 9000, ISO 9001 & ISO 14001 Quality Management Education | Communicate Directly With TL 9000 Experts! BIZPHYX is a leading TL 9000 quality management consulting firm. As QuEST Forum TL 9000 Master Trainers and Experts, we assist organizations with TL 9000 (the telecom quality standard), ISO 9001 and ISO 14001 training, consulting and implementation. Our support desk provides complimentary education and current news regarding these standards. BIZPHYX has a 100% client certification rate. In the past year, we have received many inquiries about ISO 50001, the energy management standard. We implement ISO 50001, along with ISO 14001 and R2 (the electronics recycling standard). Organizations throughout the world are being tasked with improving energy performance and reducing energy costs. It has hit a critical mass. As discussed in prior articles, since its publication five years ago, ISO 50001 has gained much importance. In fact, nearly 7000 organizations were already certified to the standard at the end of 2014. After five years of existence, time has come to revise ISO 50001. Experts began that process in 2016. With energy consumption being one of the most critical challenges facing the international community, the revision of ISO 50001 on energy management systems was given a major boost to its brand equity at the recently concluded Clean Energy Ministerial (CEM8). CEM8 is high-level global forum working to advance clean energy globally. During CEM8, there was an international workshop on “Improving Green Consumption” which featured the benefits of ISO 50001. Why? CEM analysis shows that implementation of the ISO 50001 standard across global commercial and industrial sectors could drive cumulative energy savings of approximately 62 exajoules by 2030, sparing nearly $600B in energy costs and avoiding 6,500 million metric tons of CO2 emissions. The projected annual emissions savings are equivalent to removing 215 million passenger vehicles from the road. That makes the ISO 50001 standard a critical component in the global toolkit of climate action. At CEM8, sufficient progress was achieved to enable the revision of ISO 50001 to move to a Draft International Standard, which is expected to be completed and released within three months. Publication of the new edition of ISO 50001 as an International Standard is planned for December 2018. ISO 50001 specifies requirements for establishing, implementing, maintaining and improving an energy management system. The aim is to enable an organization to follow a systematic approach in achieving continual improvement of energy performance, including energy efficiency, use and consumption. Its focus is on energy, specifically. We have a link to the standard’s documentation on the BIZPHYX knowledge base. Is this an imperative for your organization? Are you being asked to certify to ISO 50001 as part of a customer supply chain directive? If so, we can assist your organization with implementing ISO 50001. BIZPHYX can show you how energy management and environmental management standards can help you meet corporate social responsibility goals and objectives. 2016 was a big year for ISO standards. BIZPHYX was busy assisting clients with ISO 9001:2015 transitions, internal audits and TL 9000 & ISO 14001 implementations. However, those are just a few of the standards in the ever expanding landscape of quality management standards. Here is a quick look back at 2016. ISO standards took center stage at TED Talks, which highlighted the many new global standards that are in development. Quality is clearly center stage in 2017. For more information on taking your journey through quality management by implementing an ISO 9001 based standard, contact info@bizphyx.com. BIZPHYX is proud to announce that Senior Vice President, Bob Clancy has achieved the status of Certified Environmental Consultant (CES). This new certification will help us further assist ICT clients with environmental management, sustainability and quality management needs. BIZPHYX works with clients to achieve ISO 14001, OHSAS 18001 and R2: Recycling Certification. So, what is a Certified Environmental Specialist? A CES obtains an intensive overview on EPA regulations. Certification education covers the Clean Air Act (CAA), Clean Water Act (CWA), SPCC, RCBA, EPCRA, TSCA, CERCLA and environmental compliance planning and expectations. This training and designation is important to professionals who are in workplace safety and environmental compliance fields. 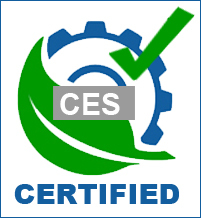 CES training results in a designation for environmental compliance professionals. For environmental compliance professionals working on projects that can pose a potential danger to the public or environment, compliance knowledge and implementation is a must in the workplace and required by law. It’s also an important tool for those who implement environmental standards like ISO 14001. After 24 hours of intensive training, students receive a certificate of completion designating them as Certified Environmental Specialist. This advanced training and certification is designed for environmental professionals who want to maximize their environmental compliance knowledge and ensure public and employee safety in the workplace. This certification designation also enables those who successfully complete this intensive training to implement updated environmental compliance programs at their facility. BIZPHYX is proud to add this certification to our list of credentials. When it comes time to select a quality management consulting firm, you have many choices. However, few quality management consulting firms are certified to the standards that they implement and do not have high-evel credentials. Many will take your money in the form of consulting fees and leave you without achieving the goal of a QMS certification? At BIZPHYX we have a TL 9000 Master Trainer, TL 9000 Experts and QuEST Forum Fellows on staff. Now we can offer clients the environmental and sustainability chops of a CES. Will it matter? Yes. Not only are we certified to ISO 9001 and TL 9000, we have a 100% client certification. The numbers speak. If you are considering ISO 14001, OHSAS 18001 and TL 9000 certification, contact bclancy@bizphyx.com. Promo BONUS DEPOSIT Sebesar 25% u/k New Member. Promo Bonus Harian Sebesar Rp.10.000 Setiap Harinya 1x Per-ID Anda. Dan Dapatkan Bonus TURNOVER Sebesar 0,3% Dari Jumlah TurnOver ( TO ) Anda. We love to post (and create) great podcasts and videos on ISO quality standards. This video clip from ISO.org called “ISO and SMEs” makes the case for small and medium sized enterprises (SMEs) certifying to the standard. Need confidence? BIZPHYX is an ISO 9001 and TL 9000 certified WBE and SME. We can certainly attest to the value of certifying to the standard, not only with clients, but also within our own organization. As global consultants and training providers, ISO 90001 has helped us deliver consistent, high quality products and services to clients around the world. The latest revision of ISO 9001, ISO 9001:2015, presents a unique opportunity for SMEs, particularly those in the service industry, to embrace a level playing field. The time is now. The standard is ISO 9001. Motivated? For more information on implementing ISO 9001:2015 or other ISO based standards like ISO 14001, ISO 27001 and TL 9000, contact info@bizphyx.com. We also assist clients with QMS maintenance services, internal auditing and quality management training on these and other ISO based standards. Contact us for a complimentary quality review. 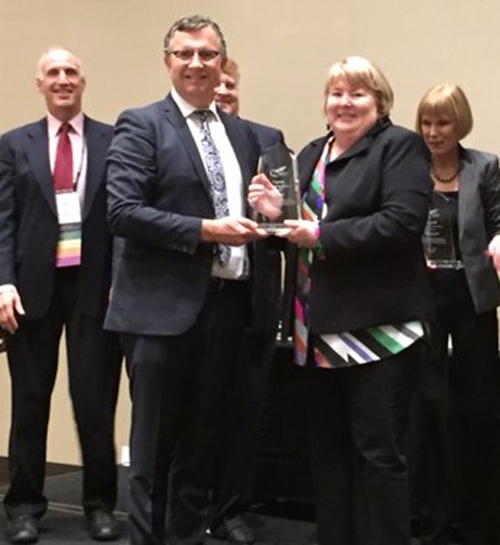 Congratulations to BIZPHYX President and CEO, Sue Clancy who was presented with The Legends Lifetime Achievement Award at the annual QuEST Forum Leadership Summit in February. Sue received this honor for her career contributions to ICT quality. The award presented by QuEST Forum, is the organization’s highest quality award. Presented very rarely by the Board of Directors, the award is only given to individuals who demonstrate over 20 years of providing service quality in ICT and who have made significant contributions to the success of QuEST Forum, the governing body over the TL 9000 Quality Standard. Sue Clancy is an Executive Contributor on the QuEST Forum Board of Directors. Sue Clancy is in great company, as colleague JoAnn Brumit, CEO of Karlee, was also presented with the award. Both Karlee and BIZPHYX are members of WBENC and both organizations are certified WBE’s. Sue and JoAnn are examples of female CEOs in the ICT, setting the standard for others to emulate. Congratulations to both. It is an honor well deserved and certainly earned! QuEST Forum is a global organization dedicated to quality and sustainability in the ICT community. QuEST Forum unifies the ICT community through the implementation of TL 9000 (the ICT quality management system built on ISO 9001), performance benchmarking and a broad array of common metrics that support rapid industry adoption of new technologies and consistent quality of communication networks around the world. For more information about the TL 9000 Quality Standard, contact info@bizphyx.com. You can reach Sue directly at sclancy@bizphyx.com. For more quality news and press release archives visit our newsroom. For additional subject matters articles, podcasts and white papers, visit our quality knowledge base. BIZPHYX works with clients to implement environmental certifications like ISO 14001, OHSAS 18001 and R2, the electronics recycling standard. We are big fans of SERI, (Sustainable Electronics Recycling International), the standard’s governing or housing body. Their leadership has put into action several programs that elevate the value of the R2 as an “audited” standard. Anyone can say that they are “green” or that they recycle, but what does that really mean and how can a claim be substantiated? When a standard is audited by a third-party, it means a great deal. R2 is already a fully audited standard (certification and internal audits). SERI has stepped up the game with R2 even further, by implementing “spot audits” of R2 certified facilities. Six have been conducted since the program began this past summer. SERI has stated that these audits are part of their continuing effort to raise the bar on quality within the electronics industry in general and with R2 certified facilities in particular. The best part? Collaboration on findings. SERI states that trends, observations, best practices and lessons learned will be shared with certification bodies (CBOs), auditors and recyclers, during regularly scheduled conference calls and in SERI publications like their R2 Update newsletter. We think this a great new program and it solidifies to us, that R2 is THE electronics recycling standard to implement. R2 and SERI are framed in such a way that they will continue to have a significant impact on the mounting global problem of e-waste by fostering and driving proper, safe and sustainable recycling standards. Hats off to SERI! They are serious about the business of electronics recycling standards. If you would like more information on R2 implementations and the requirements necessary to certify to the standard, please contact bclancy@bizphyx.com. To learn more about the R2 standard, SERI, the R2 Leaders program and more about electronics recycling, please visit the SERI website. For additional white papers, case studies and podcasts on environmental and other ISO bases standard, visit our knowledge base. As we bring the “Year of Quality” to a close, we would like to reflect on the flurry of activity that has occurred in ICT quality and quality management in general. We’ve been finalizing our own strategic planning for the new business year and we’re fresh off of the QuEST Forum Leadership Council and Work Group Meetings in November. The latest revision of ISO 9001, ISO 9001:2015 is going to set the stage for quality in general. As you probably know, the revision was published in September and organizations have 3 years to upgrade their ISO 9001:2008 QMS to the latest revision. In addition, ISO 14001:2015 was published and many more ISO based standards ready to update in 2016, are in the queue to align with the latest revision (AS 9100, OHSAS 18001 shifting to ISO 45001, etc.). Just refer to the Annex SL directives with the latest revision. With regard to TL 9000, it too is set to upgrade in September 2016 with R6.0. While we see alignment with ISO 9001:2015, we also know that sustainability and other ICT specific quality drivers will be in the mix. We suggest that our ICT clients certified to ISO 9001 and TL 9000, wait until after September of 2016 before making any big decisions. We can then suggest how to best assist with upgrades regarding both standards (in tandem). With regard to QuEST Forum, there is a new Executive Board for 2016 and with that change of guard will come a potential shift to new initiatives with the organization, likely with increased sustainability initiatives, benchmarking and performance data measurements. We predict that our ICT clients will have an easier time upgrading to ISO 9001:2015 than expected or feared. However, we also predict that due to economic drivers, global environmental concerns and US regulation; companies will need to strongly consider and develop sustainability goals and address environmental challenges. Right now that can be done on a voluntary basis by implementing standards like ISO 14001 and when applicable R2 (electronics recyclers). Additionally, rampant data and identity theft, as well as surveillance concerns, will increase the potential for direct burdens on companies, not just the big players and MSPs (example: new card readers, PCI compliance). Also consider the rapid evolution of M2M and IoT products and services. When and how does quality shift to outright legal responsibility? Right now information security can be helped on a voluntary basis with an entire suite of compliance standards and techniques, including ISO 27001 (when applicable). The unknown will be when quality management and assurance shift to forced governmental compliance and regulation. Are we there yet? Probably not in 2016, but it’s likely coming. How to get prepared? Recognize that quality is congruent with an organization’s responsibility to serve and protect clients, as well as be good stewards of the environment. Implementing a baseline quality management system is a strong first step within an organization to shift a corporate culture to perform at high levels and mitigate risk every day, in every way. This is done though the leadership of an organization. ISO 9001:2015 addresses these factors head on through a focus on risk based thinking and leadership (stakeholders). Concepts to ponder before the new calendar year!